Vacuum and electricals company Dyson is set to emulate Apple as it prepared to open its first physical store in the UK on London’s Oxford Street tomorrow. 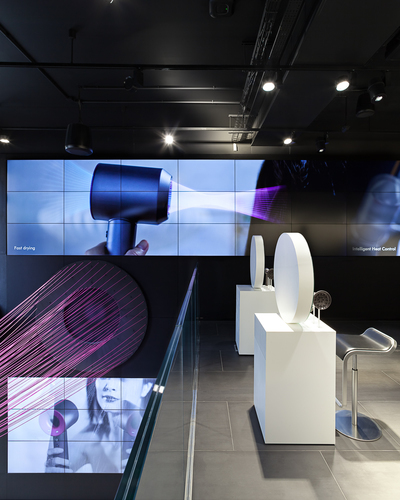 Customers visiting the Dyson Demo flagship, located opposite Selfridges, will be encouraged to pick-up, test and experience any of Dyson‘s 65 products before buying them or ordering them for home delivery. This includes having their hair styled and dried by the company‘s Supersonic hairdryer in a salon, or being able to choose from 60-plus types of dust and debris when testing its vacuum cleaners. 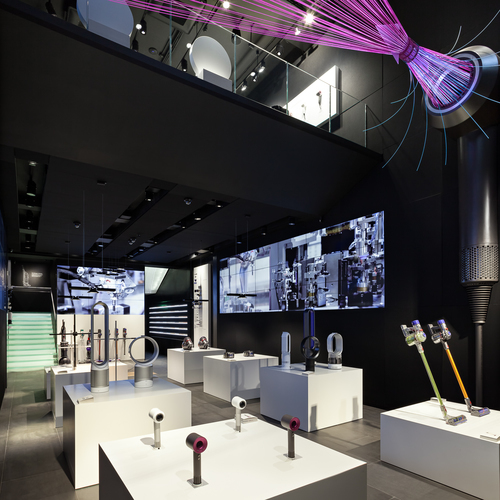 The two-storey store is aimed at making customers understand the science and enginieering behind Dyson’s products, and they can also see digital motors close-up and speak to experts. Dyson’s research, design and development director – and son of founder Sir James Dyson – Jake Dyson said the new store “encourages people to be hands-on”. “The Supersonic salon introduces hair science to the high street for the first time, and nowhere else can [customers] choose between 64 types of dust and debris to test a vacuum cleaner,” he said. This is Dyson’s third physical retail space, with the others already established in Tokyo and Jakarta, while it trades in 70 countries through its website and as a retail supplier. Reports indicate the electricals company wants to increase the number of its physical stores after the opening of the Oxford Street flagship.